I'm concerned that the plates and knives I have won't work with this hub. Is there a way I can be sure they will fit? Measure the square hole in your plate or knife. 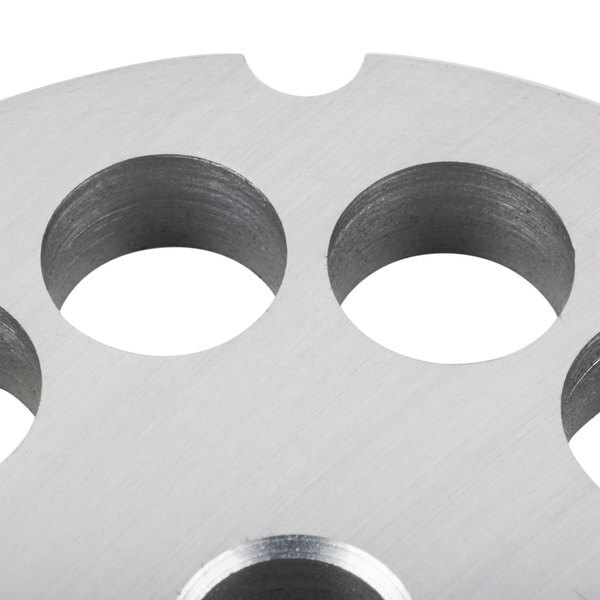 A standard #12 hub fits plates and knives with a 9/16" square hole, while a standard #22 hub fits plates and knives with a 3/4" square hole. 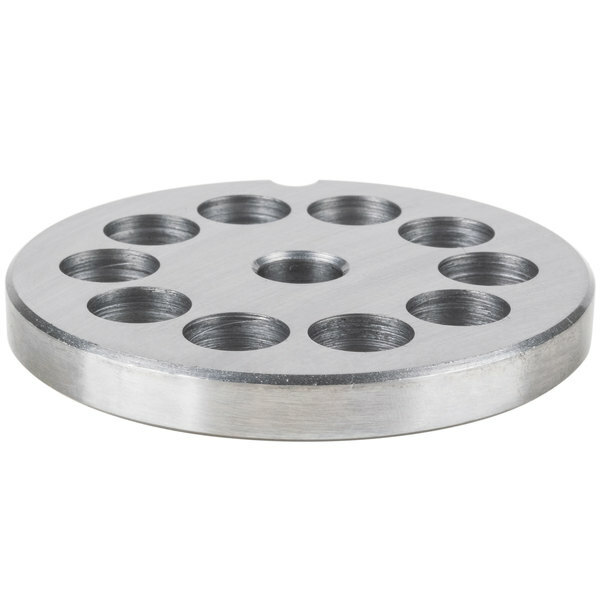 This meat grinder plate is made from the finest drop-forged steel and hardened for added durability. Solid, one-piece and easy to clean, this item is to be used with #12 meat grinders. 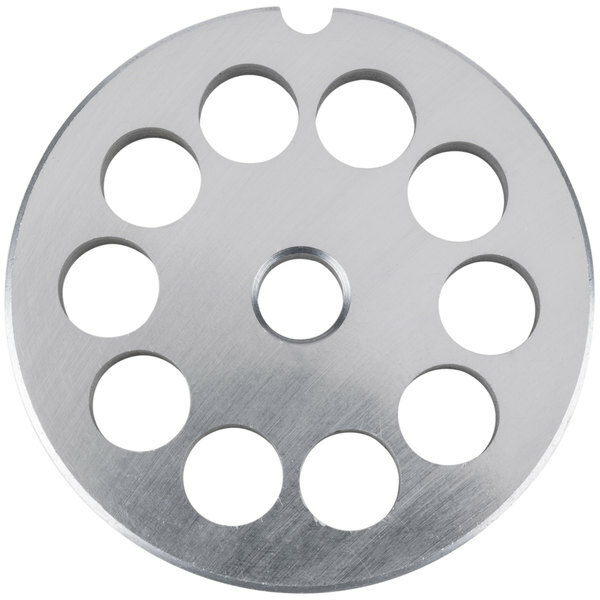 This meat grinder plate is ideal for low volume delis, restaurants, hotels, butcher shops and supermarkets. It's also ideal for any first grinds, coarse chilis, or stews. 1/2" hole. 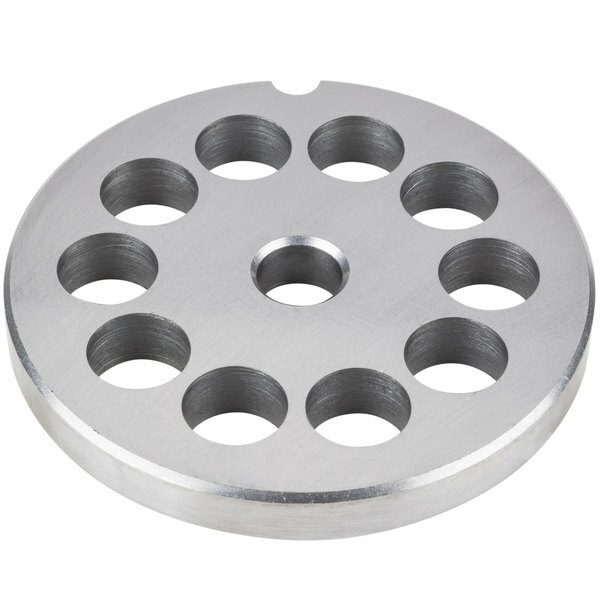 The 1/2" meat grinder plate #12 is also known as a 1/2" hubless carbon steel machine plate #12. This product can expose you to chemicals including Lead and Lead Compounds, which are known to the State of California to cause cancer, birth defects, or other reproductive harm. For more information, go to www.p65warnings.ca.gov. WARNING: This product can expose you to chemicals including Lead and Lead Compounds, which are known to the State of California to cause cancer, birth defects, or other reproductive harm. For more information, go to www.p65warnings.ca.gov. Warranty valid only on products sold or used inside the continental United States. RESIDENTIAL USERS: Vendor assumes no liability for parts or labor coverage for component failure or other damages resulting from installation in non-commercial or residential applications. The right is reserved to deny shipment for residential usage; if this occurs, you will be notified as soon as possible. Works well for the first pass of larger grinded items. If you are making salami or even a more coarse italian sausage. They have held up well.